SAP SE has announced that leading Indian paints company Kansai Nerolac Paints Ltd is adopting SAP Leonardo to streamline operations by leveraging next-generation technologies including Machine Learning and Internet of Things (IoT). Kansai Nerolac Paints Ltd (KNPL) will also implement SAP Cloud Platform, SAP Analytics Cloud and SAP Edge Services to help fulfil the company’s objective of fast-tracking its digital transformation journey. As key milestones of the journey, KNPL aims to immediately transform its salesforce effectiveness, supply chain efficiency and manufacturing robustness. 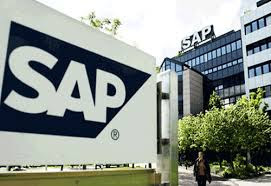 The company will thus be able to innovate faster with less risk through proven methodology, pioneering technology and industry accelerators enabled by the SAP portfolio. SAP Leonardo is a digital innovation system that brings together machine learning, IoT, blockchain, analytics and big data on SAP Cloud Platform using design thinking services.